Jaguar Land Rover could build a museum alongside offices, a hotel and a visitor center in Silverstone, UK media reports have said. 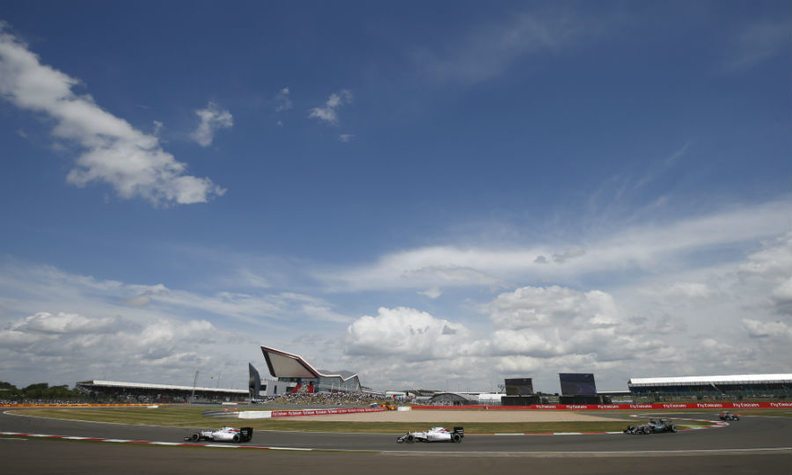 LONDON (Reuters) -- The owner of the UK's Grand Prix racetrack at Silverstone is in talks to lease the circuit's property to Jaguar Land Rover, after a vote of its members authorized the board to continue discussing the deal. Members of the British Racing Drivers' Club (BRDC), which own the track in central England and surrounding land, voted on Thursday evening to continue discussions with JLR, the body said in a statement. JLR, which is owned by India's Tata Motors, has been considering turning the site into a "heritage center" to show off the company's cars alongside its offices, a hotel and visitor center, UK media reports said in December. "The potential would align Silverstone with two premier British brands and put the BRDC on a stronger financial footing," a spokeswoman for the club said. The automaker did not immediately respond to a request for comment from Reuters. JLR could operate the site as an equivalent to locations such as Daimler's Mercedes-Benz World in London, which offers family days including driving experiences, guided tours and simulated rides, raising extra revenue for the firm.